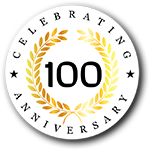 In 2019, Kerger & Co. B.V. celebrates its 100th anniversary. Over the last century, Kerger has laid a very solid foundation of expertise and experience. We consider this foundation to be the starting point for our future. We pro-actively follow technological developments to continuously update our knowledge of electrotechnical products and their applications. Digitalization and globalization constantly change our world, faster than ever. We keep up with those developments, while always holding on to the values that Kerger stands for; high quality solutions by means of personal contact with our clients. At Kerger, the customer will always be king! It is barely comprehensible how much the world has changed over the last 100 years in terms of technology, means of communication and transportation. Nonetheless, we consciously hold certain traditions high within our company. Solving our clients’ problems in a service-oriented manner is such a tradition. Permanently investing in know-how, skills and strong ties within our network, we offer high quality and time-saving solutions at an optimal service level. We prefer to consider our clients and our suppliers as partners. By thoroughly knowing our suppliers and their products, as well as our clients’ situation and requirements, we can provide time saving services and custom solutions. Our primary goal is to minimize our client’s electrotechnical issues. This way, we assist them to keep a focus on their own expertise at all times. Products we do not have in stock, are delivered quickly by manufacturers within our global network. We provide alternative solutions in any case a product is not (no longer) available. Our contacts with Asian providers allow us to supply high-end electrotechnical parts that are occasionally hard to come by. Or, if preferred, we can deliver substitute European brands. In consultation with our clients we always aim for the best and most cost effective solution. Would you like to know more? Feel free to contact us. We will gladly help you.